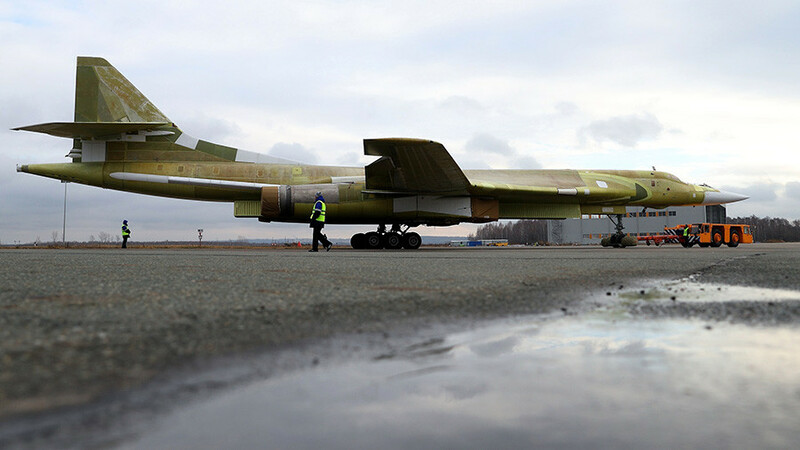 A newly built Tupolev Tu-160 long-range heavy strategic bomber – the first one since 1992 – was rolled out of the hangar as Russia resumes production of the world’s largest operational bomber that NATO designates as Blackjack. The new Tu-160, which is nicknamed White Swan in Russia, was revealed at the Kazan Aviation Factory, a branch of Moscow-based Tupolev Design Bureau, on Thursday. The aircraft was built, using parts stored since Soviet times, to establish if the factory was capable of resuming serial production of the legendary bombers. The bomber will now undergo testing on the ground, before taking to the skies in February 2018. The serial production of Tu-160s, which remained stalled since 1992, will resume after the aircraft proves that it matches the assigned criteria, Major-General Sergey Kobylash, the chief of Russia's Long-Range Aviation, told RIA-Novosti. Russia’s military announced the decision to resume production of the Tu-160s in modernized Tu-160M2 variation back in 2015. The serial production of the bombers is likely to begin in early 2020s, with the Defense Ministry planning to purchase at least 50 aircraft. The modernized planes will get new improved engines, also seeing analog onboard equipment replaced with digital hardware. “All the Tu-160 planes currently in service with the Russian Air Force will be fully modernized. Taking into account the pace of reproduction and the level of modern technology, I assume that it’s going to happen in the coming years,” Kobylash said. Blackjack is largest combat aircraft in the world, with maximum takeoff weight of about 275 tons. It can cover a distance of more than 12,000 kilometers without refueling. The record distance it covered during one flight was 18,000 kilometers, spending more than 24 hours in the air. The bomber is equipped with variable-sweep wings, which it wedges against the fuselage when switching to supersonic speed. The Tu-160 and other long-range aircraft resumed patrol flights over the Pacific and Atlantic in 2007. The bombers also proved their effectiveness during Russia’s air campaign in Syria as they took off from airfields in Russia to strike terrorist targets.